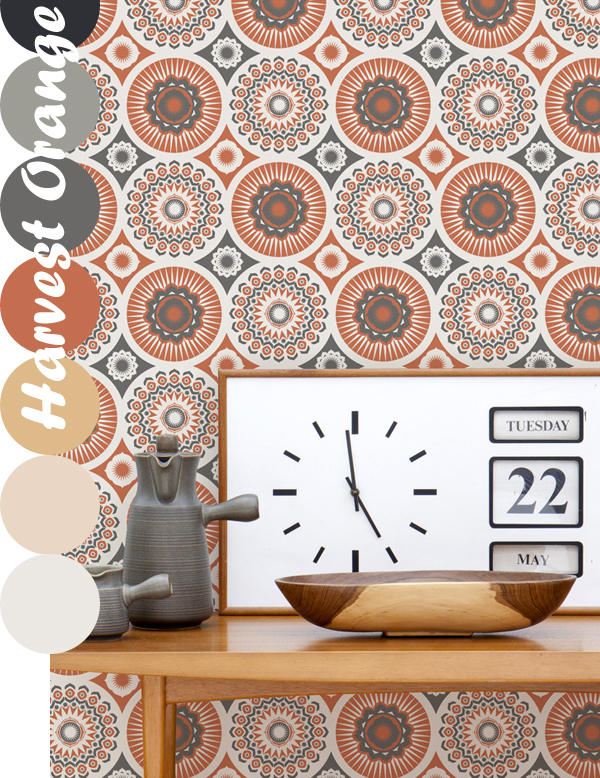 "Our design influences range from mid-century British textiles to vintage toys, from literature to childhood memories. Travel also influences our work - and much of our inspiration comes from holidays and field trips, both at home and abroad." 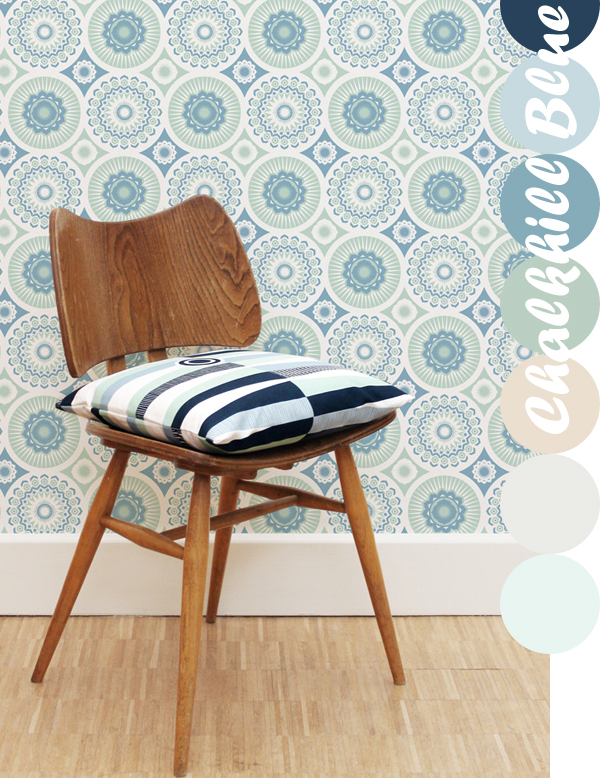 At the moment I'm particularly fond of their textiles and wallpapers and am quite smitten with this Darjeeling design. Since I have my 'decorating head' on at the moment I'm trying to picture each of these colourways in my living room. I'm not planning to wallpaper the whole room, just a wee accent in the alcove where I have my computer. I'd like a backdrop of something inspiring but also soothing, something not too distracting but also motivating. It also has to fit with the rest of the room, which is still in a state of flux just now making things even trickier to visualise. 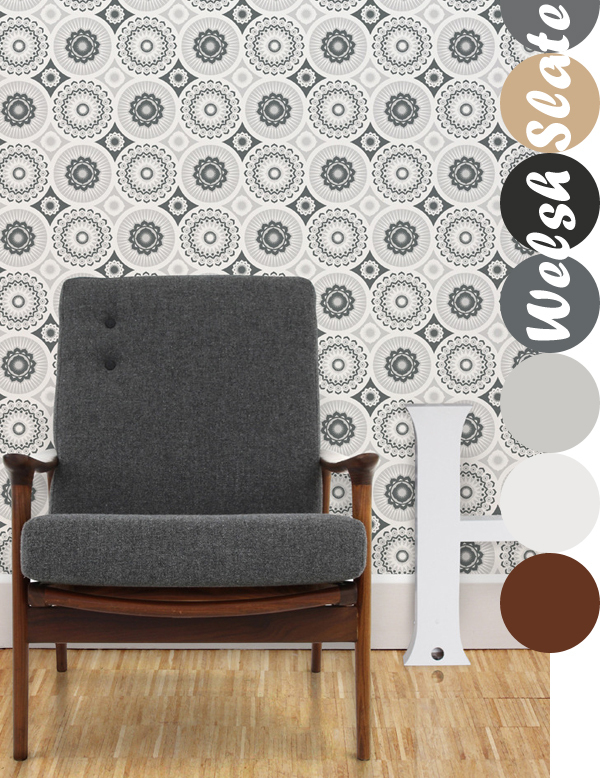 So far we've chosen a new black sofa (still to arrive) and stark white walls (still to be painted), which will both make a good base for adding lots of colourful snippets. You know how I love those! 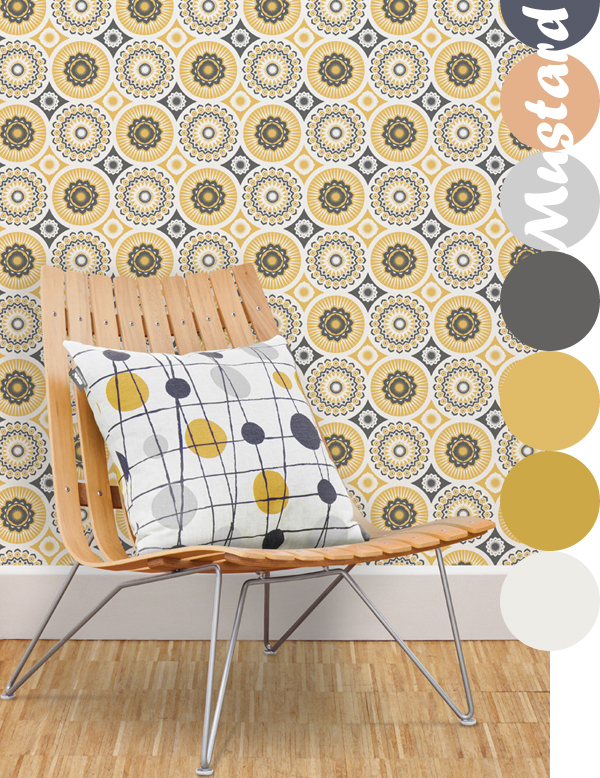 So yes, I know I'm asking a lot from a roll of wallpaper but surely it's not impossible to find the perfect one!? Already I'm eyeing up 'Welsh Slate' and imagining it with a bright and colourful pin board and a couple of pretty prints to add those colourful snippets. Which one would you choose? 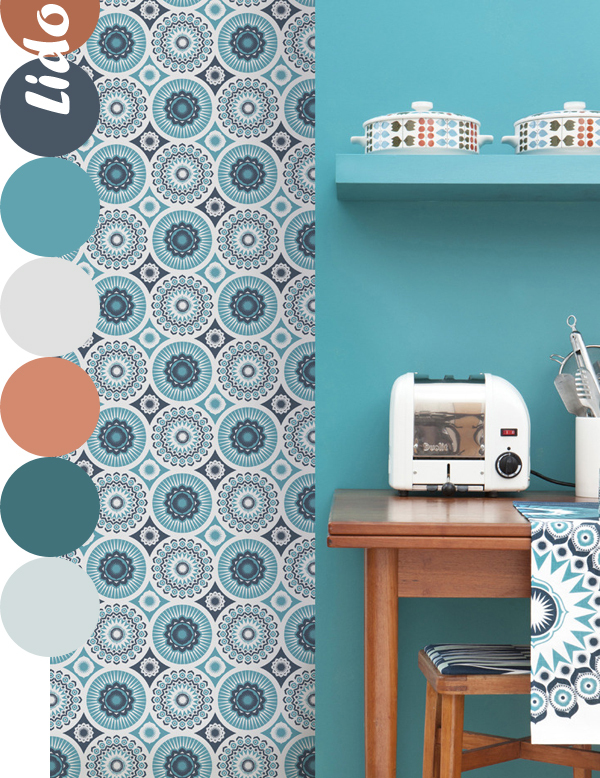 Oh and do take a peek at the rest of Mini Moderns' collection, I am sure you will love it! The choice is difficult, are more beautiful than the other. My advice? Close your eyes and let yourself be guided by the sensations you feel, listen to them ... they will guide you to the right color. Thank you for what you do ... for your work ... for your blog. I'm all about the blue, so I'd go with Chalkhie Blue. Did I spell that right? I'm sure whichever you choose will be lovely. 'Chalkhill Blue'... it is lovely isn't it!? I imagine that one would look sweet in a nursery. I like Lido. The colors remind me of wall paper from my childhood. Love your new shop pieces. Hope your summer is off to a lovely start.